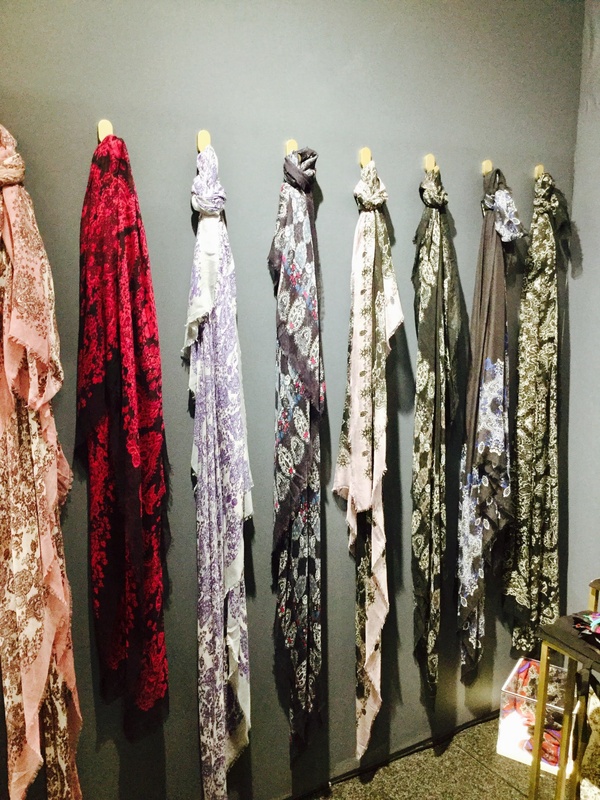 I have created a range of limited-edition scarves, printed in Como, Italy. The first collection is made up of luxuriously proportioned cashmere blended shawls, with a soft fringing and a deep patterned border all around. 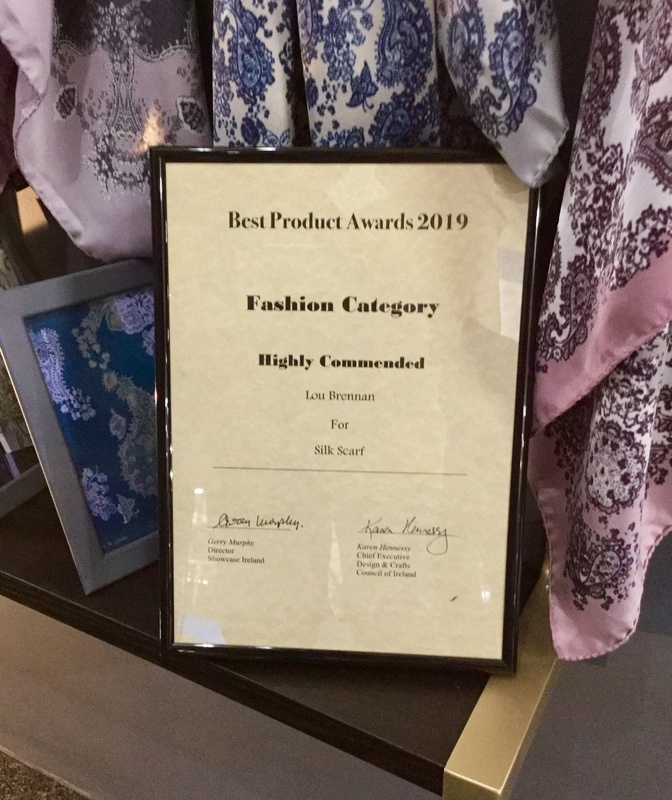 This is complimented by my collection of classically elegant silk twill scarves with rolled edges. Lou graduated as the first ever MA student in Fashion and Textiles at NCAD, in Dublin, over 20 years ago. Having worked in numerous studios around the world from London, Dublin, where she was the textile manager for John Rocha, to New York and Lyon in France, she established her own studio in London in 1999, after acquiring Zandra Rhodes own print table. Whilst working as a freelance designer Lou was also a visiting lecturer at various colleges, namely the London College of Fashion and the University of Brighton. Lou has sold her designs to well-known names such as Donna Karan, Alberta Ferretti, Giorgio Armani and Dolce Gabbana to name a few, as well as seeing her work on the pages of Vogue and many other international titles. ​As well as winning many awards, such as for ‘Innovative Fabrics, with the Royal Society of Arts (RSA), Lou has also produced fabrics for both Alexander McQueen and Hussein Chalayan that are now in the V&A archives. Since returning to Ireland, Lou has continued to diversify and as well as printed textiles, she creates hand embroidered pieces for clients and from time to time runs workshops covering many textile disciplines. Having a deep love for Irish Textiles, Lou is often reminded of the textile history all around her. From the Woollen Mills in nearby Foxford to the Lace Schools and Linen Mills, now long gone. It is her ambition to write a book on this subject as she believes the contribution made by Ireland, to the world of Textiles, is often underrepresented. An unsung hero, in great part, is Francis Nixon, who is often credited as the ‘Father of Modern-Day Printing, ‘yet few acknowledge his contribution and his epitaph reads, ‘the first to perfect copperplate printing,’ in Dublin in 1752. 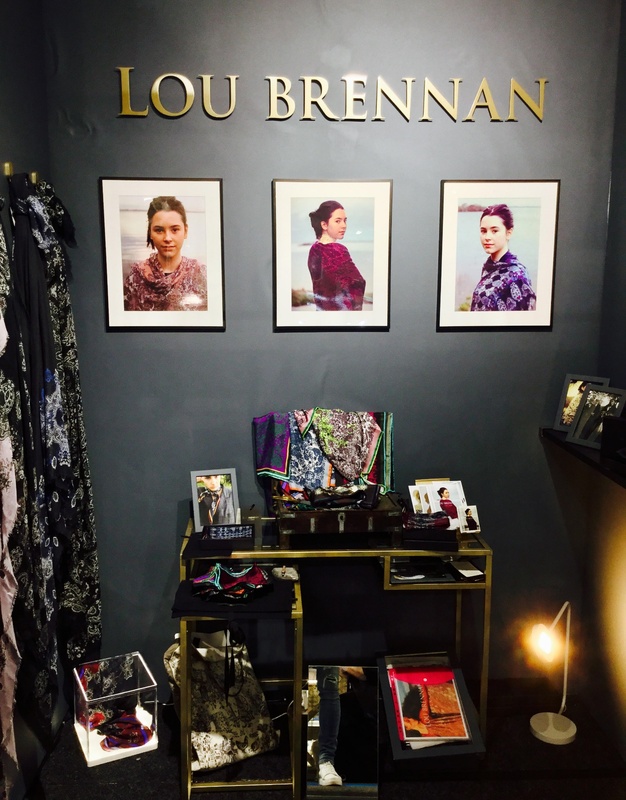 Inspired by the richness of Ireland’s textile history, from Irish lace to the iconic paisley shawls, Lou has translated these references into her collection. Original hand drawn illustrations celebrate themes of heritage, romance and beauty, bringing the poetry of these stories to life. Check out this award winner….a true star of the future!